Futuristic, originally uploaded by needlepointernc. This is a glimpse of a FUTURISTIC landscape. 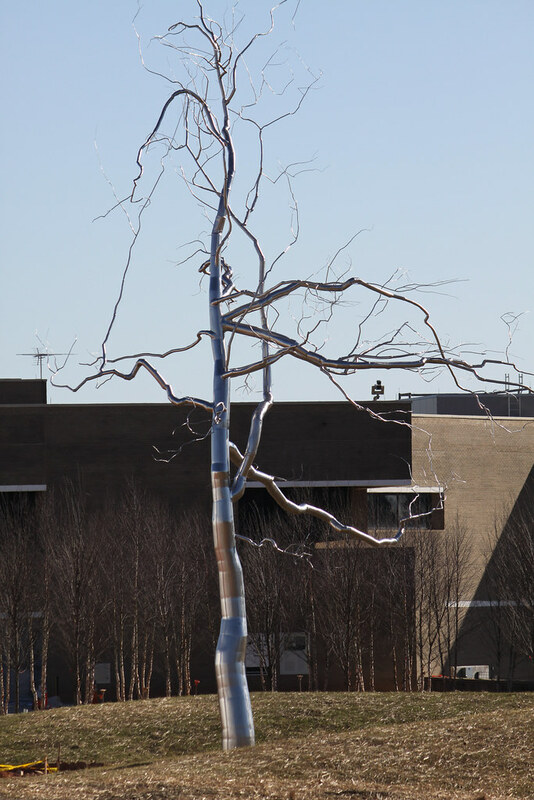 Trees will be made of metal and will be extinct. 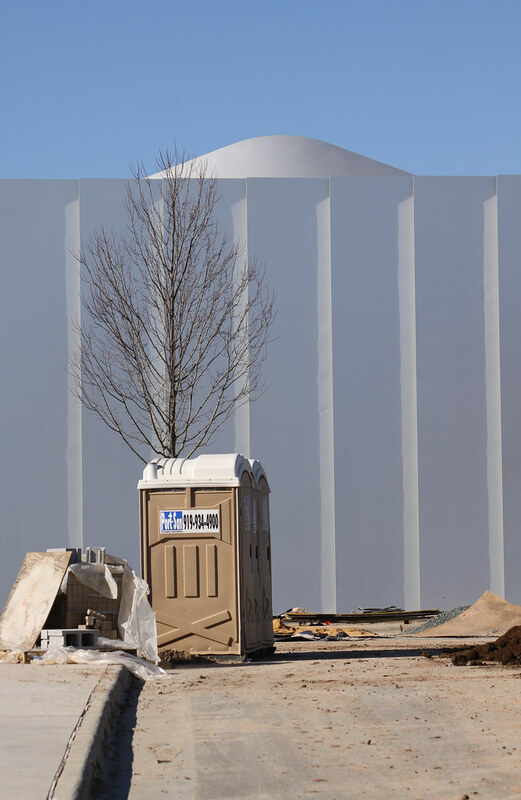 This is the top of a metal tree that has been installed next to the new art museum building. Peaks and Valleys, originally uploaded by needlepointernc. 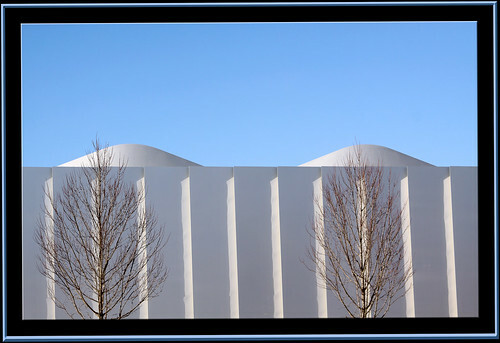 The roof of the new NC Museum of Art have PEAKS AND VALLEYS that provide light to the new galleries. The peaks are actually louvered skylights that will control how much light can enter the galleries. 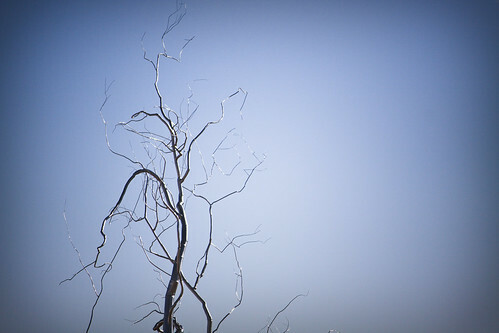 Natural light is the new way to light art galleries. It is a beautiful day here in Raleigh today. It was cold and windy this morning when I was taking these pictures. The workmen on site probably thought I was crazy! Luckily we didn’t get all that snow you all have everywhere else in the USA. Outdoor Lighting, originally uploaded by needlepointernc. 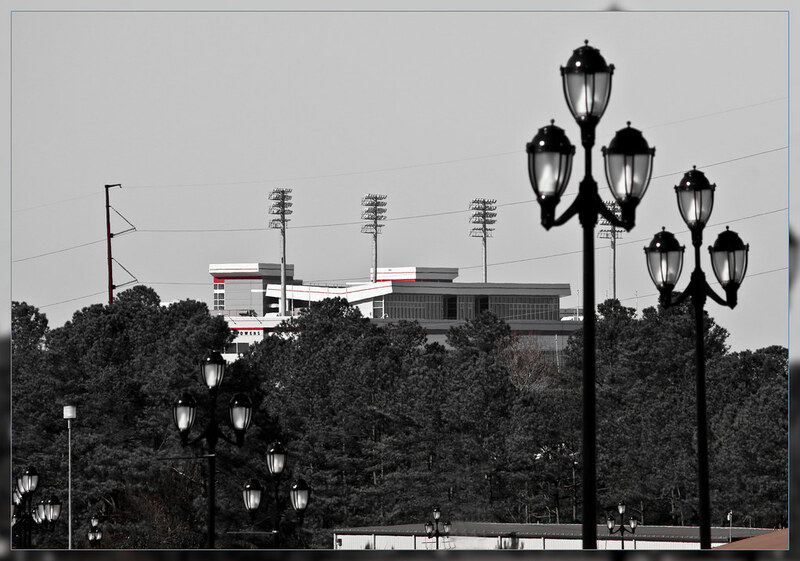 OUTDOOR LIGHTING is important when you play football at night at Carter-Finley Stadium. 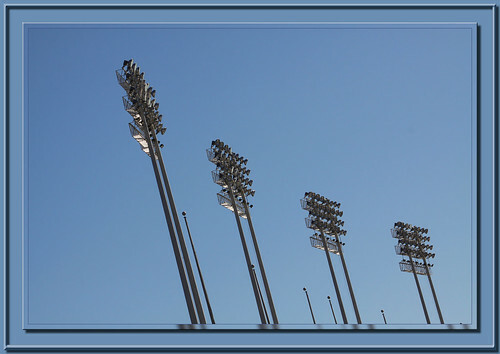 The NC State Fairgrounds have fancy old fashioned lighting now on the grounds. Empty Seats, originally uploaded by needlepointernc. 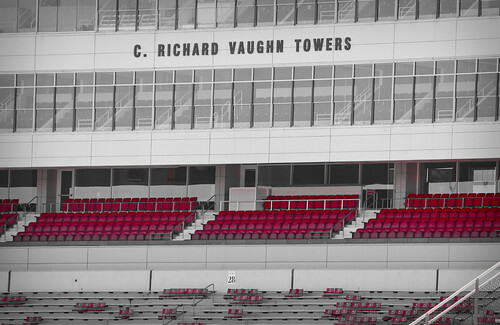 Behind the empty seats at Carter-Finley Stadium are the PRIVATE boxes for alumni. The football season is over for another year at NC State. 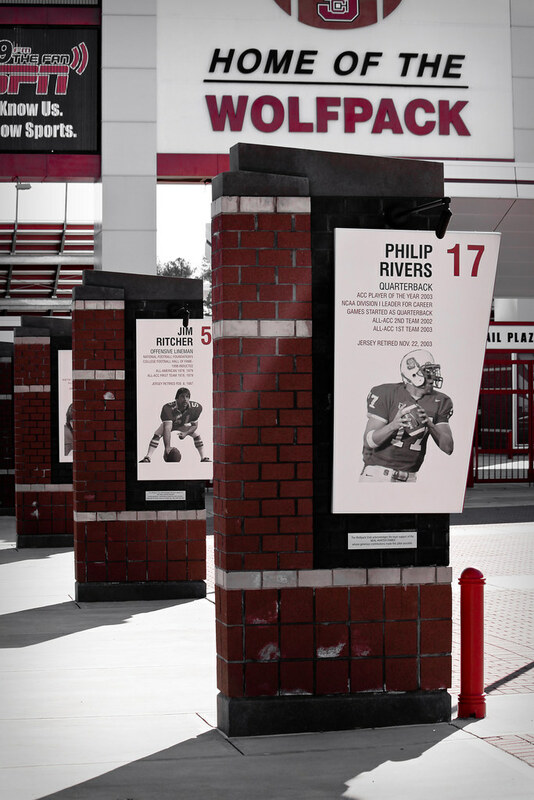 Philip Rivers is an alumnus of State and is having a pretty good career in the NFL playing for the San Diego Chargers. 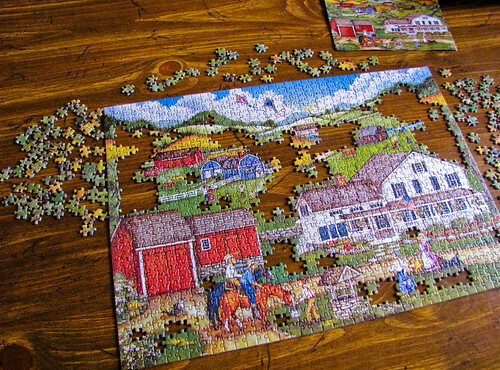 Mini Puzzle, originally uploaded by needlepointernc. My Aunt gave me this 1000 piece MINI PUZZLE. It is not a really hard puzzle, but the pieces are hard to handle because they are so small. 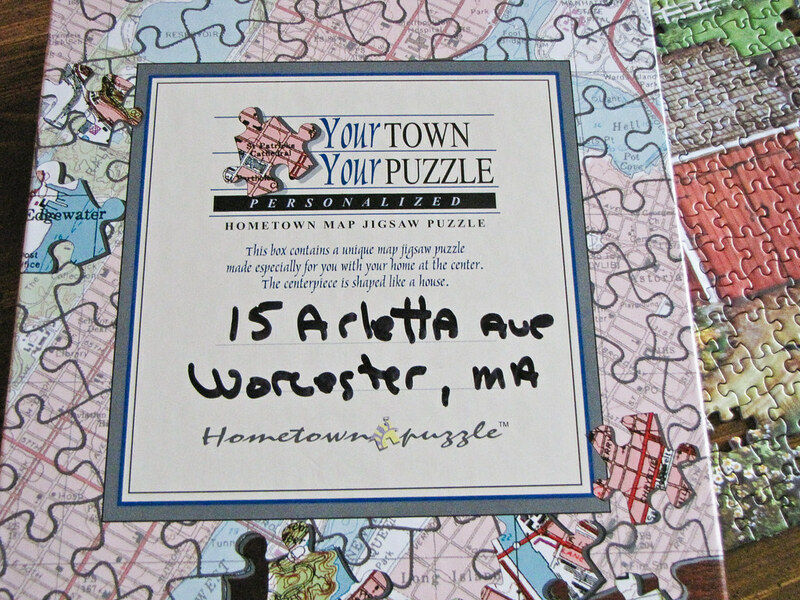 But the best puzzle I got this year is a map that shows the house that I grew up in. Hubby got it from National Geographic – send them an address and they send a puzzle. Farmer’s Market Tent, originally uploaded by needlepointernc. 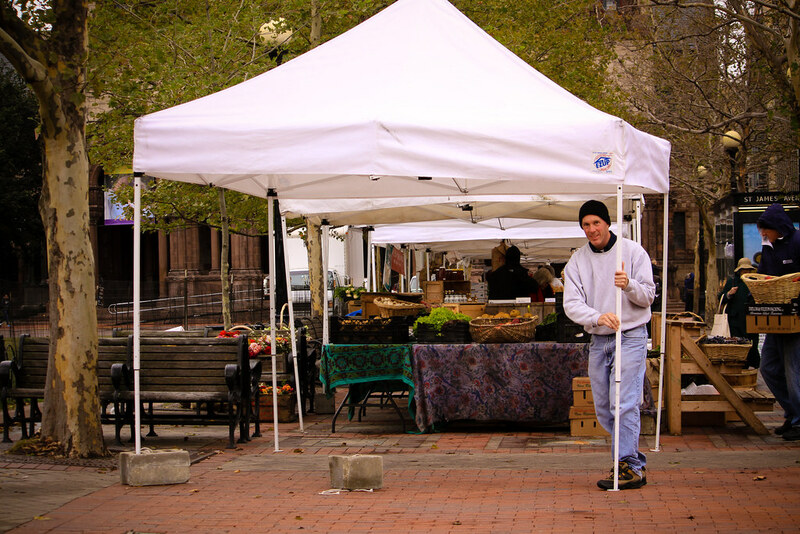 This vendor at the Copley Square Farmer’s Market was putting up his TENT to protect his produce from the elements. It was a chilly October Day in Boston. It was the first time it had snowed on my birthday that I can ever remember! 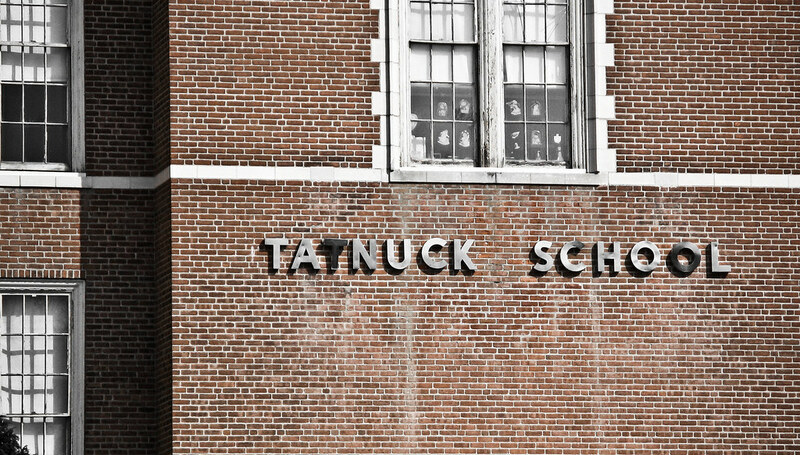 Tatnuck School, originally uploaded by needlepointernc. 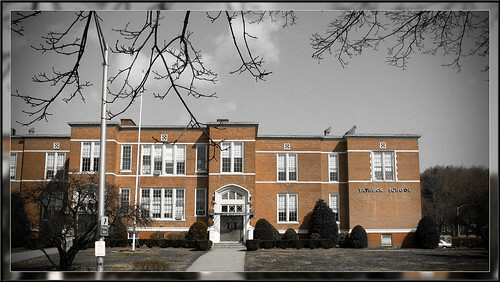 This is a picture of the elementary school that I went to in Worcester, Massachusetts. It looks like it did when I went there in the 1960s. I took this picture a few years ago. This is a picture of the 6th grade classroom window that I was in and my teacher’s name was Mr. Powers. In those days men could only teach in the 4th grade and higher! This is the end of the Photo of the Week challenge for me. I am going to publish a book of my 52 weeks of photos. I tried to choose my favorite photos through the years of my photo taking. I also tried to use photos from the different places that I have lived and the places we have visited. I hope you have enjoyed my journey.